Anyone for egg hunting at King John's in Sussex this Easter? 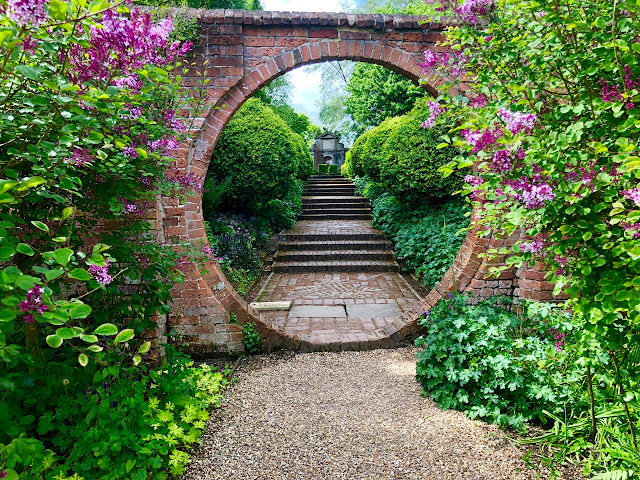 Today I stumbled upon a garden that opened my eyes wide - a quintessential English plot in the heart of the High Weald in East Sussex, with a stunning Grade II listed Jacobean manor house as the backdrop to eight acres of heavenly gardens. The really good news is the Easter Egg Hunt for kids this weekend, which takes place on both Sunday 24th and Monday 25th April, so that parents can see the garden while the children join in the Easter spirit! This is King John's Nursery and Garden, just a stone's throw from Pashley Manor, and it's one of the most idyllic landscapes I've encountered yet this year, with its formal garden in front of the house; glorious wildflower meadow; lily pond and wooded areas; plus a brilliant nursery (which brought me here in the first place); and a shop filled with garden-related goods that you actually want to buy! 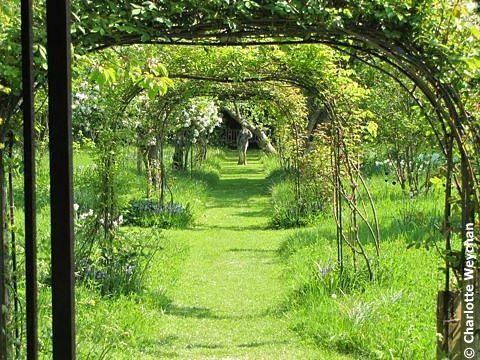 What really struck me about this garden is that it's laid out in such a way that it doesn't require armies of gardeners to keep it in check and there are large areas that look after themselves, thanks to careful planting. There's a woodland walk teaming with bluebells right now and strategically placed benches and seats that beg you to come and sit on them while admiring different views of the garden. It's really nothing short of heaven on a glorious May day! 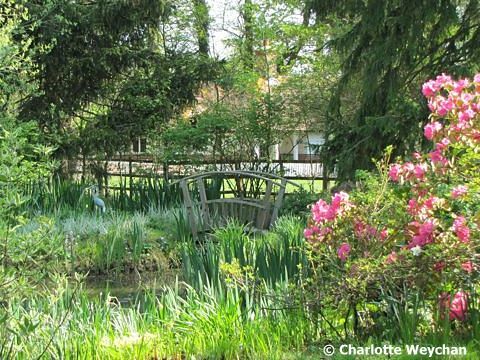 I imagine the ponds are quite spectacular when they come into flower later in the season, and I shall certainly visit again later this year to see what else is in bloom. But I can't think of anywhere more perfect than here to take the children this weekend - the doors open at 10.00 on both Sunday and Monday, so Happy Easter egg hunting to all who visit over the holiday. And if you can't get there this weekend the gardens and nursery are open every day except Tuesday, from now until October. 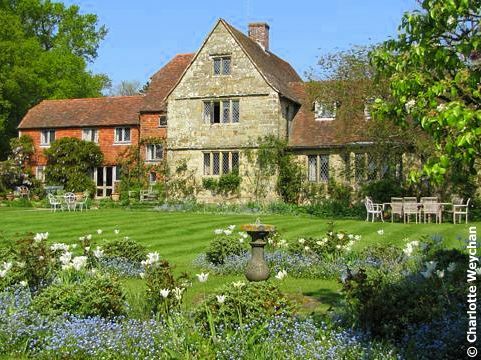 Other venues in the South with Easter Egg Hunts this weekend are Riverhill House in Kent, which also has some of the most spectacular bluebell displays in the country; and Michelham Priory, in East Sussex, which is always glorious in springtime. Happy Easter to you all and I'll be back with spectacular tulips over the weekend. I let a small patch of my small corner garden go "native", that is un-mowed or I should say prarie style. Lasted one week. My wife didn't feel the love. Gorgeous!!! 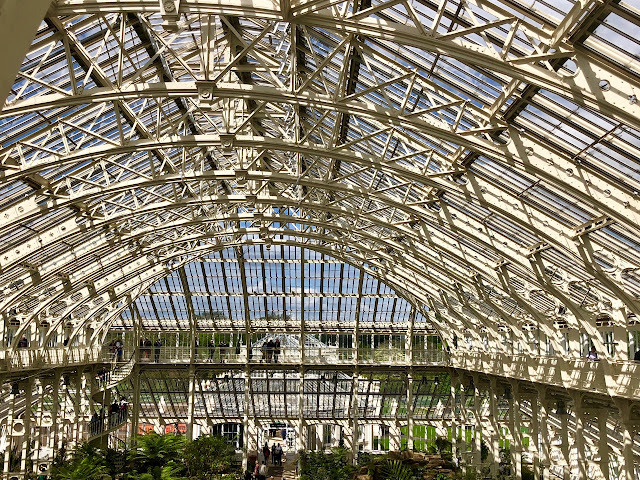 What a magnificent place for an egg hunt! If I had that much space, I'd move into the potting shed and never come out! 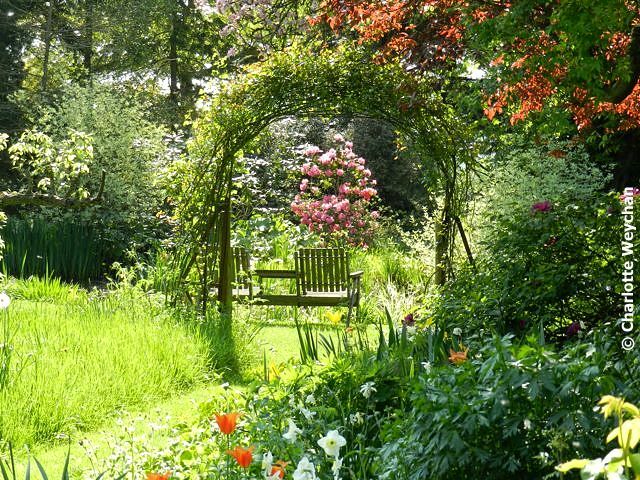 What a beautiful classic garden. What caught my eye was your comment about "careful planting" and "areas that look after themselves". That is something I'd love to see more of! Have a happy Easter! What a lovely garden... and chocolates provided, brilliant combination. Glad to see you are back reporting on gardens in the UK! Hunting eggs there is like a fairy tale. 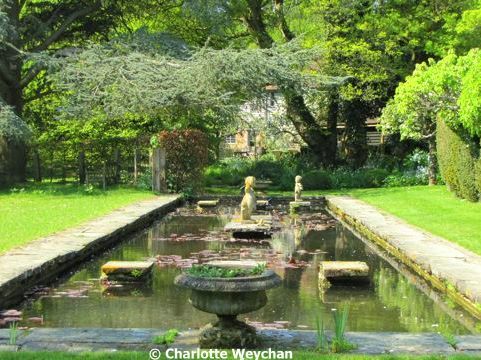 You do come up with some amazing gardens Charlotte, and the house, it must originate from the thirteenth century, gorgeous.